Formula previously given as (Mg,Fe,Al)3((Al,Si)4O10)(OH)2.4H2O. From Latin "vermiculare", to breed worms, in allusion to its peculiar exfoliation on intense heating. Space Group C2/m (a = 5.24(2), b = 9.17(2), c = 28.60(5) A, beta = 94°36'(24'), Z = 4, or space group C2/c (a = 5.349(6), b = 9.255(10), c = 28.89(2) A, beta = 97°7'(6'), Z = 4. Batavite An iron-rich variety of vermiculite. 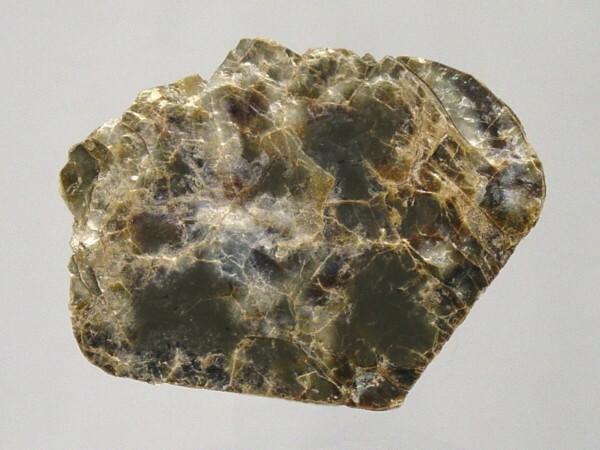 Originally reported from Kropfmühl Mine, Kropfmühl, Kropfmühl - Untergriesbach District, Hauzenberg, Bavarian Forest, Lower Bavaria, Bavaria, Germany. Copper Vermiculite A cuprian variety of Vermiculite. Eastonite (of Hamilton) A silver-white vermiculite. Vaalite A variety of Vermiculite that was originally described from Vaal river, South Africa. Stellerite 3 photos of Vermiculite associated with Stellerite on mindat.org. Anthophyllite 2 photos of Vermiculite associated with Anthophyllite on mindat.org. Anorthite 1 photo of Vermiculite associated with Anorthite on mindat.org. Pargasite 1 photo of Vermiculite associated with Pargasite on mindat.org. Ruby 1 photo of Vermiculite associated with Ruby on mindat.org. Stilbite subgroup 1 photo of Vermiculite associated with Stilbite subgroup on mindat.org. Chromian Diopside 1 photo of Vermiculite associated with Chromian Diopside on mindat.org. 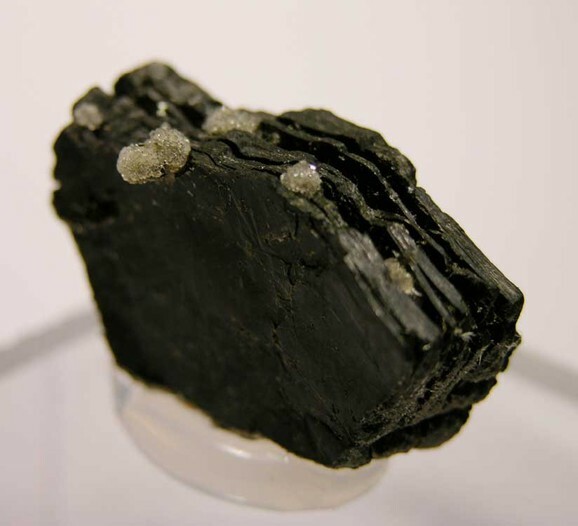 71.2.2d.1 Hydrobiotite K(Mg,Fe2+)6((Si,Al)8O20)(OH)4 · nH2O Mon. American Journal of Science (1824): 7: 55. American Mineralogist (1966): 51: 1124. American Mineralogist (1975): 60: 175. Clays and Clay Minerals (1992): 40: 335. Badreddine, R.; Vandormael, D.; Fransolet, A.-M.; Long, G. J.; Stone, W. E. E. & Grandjean, F. (2002): A comparative X-ray diffraction, Mossbauer and NMR spectroscopic study of the vermiculites from Beni Bousera, Morocco and Palabora, Republic of South Africa. Clay Minerals 37, 367-376. Krupskaya, V.V., Andreeva, I.A., Sergeeva, E.I., and Cherkashev, G.A. (2002): Lithology and Mineral Resources 37(2), 130-136. Oliver, R.L., James, P.R. (1982) Report on Hartz Range Ruby Mine Site, Department of Geology and Mineralogy, The University of Adelaide, CR 82/061. Bailey, S.W., Riley, J.F. (1977) An Unusual Chlorite from Western Australia, Mineralogical Magazine 41:320, 541-544. Bolton, D., Alexander, J. (2004) Windimurra Vanadium Deposit, Murchison Region, Western Australia. CRC LEME (2004). Prider, R.T. (1945) Sapphirine from Dangin, Western Australia. Geological Magazine, 82:2, 49–54. Götzinger, M. A. (1982): Vermiculit aus dem Serpentinit von Steinbach. Archiv f. Lagerst.forsch. Geol. B.-A., Wien, I, 43-45. Götzinger, M. A. (1987): Vermiculitvorkommen der Böhmischen Masse in Österreich und ihre Entstehung. Mitt. Österr. Mineral. Ges., 132, 135-156.; R. Exel: Die Mineralien und Erzlagerstätten Österreichs (1993); Götzinger, M. A., Beran, A. & Libowitzky, E. (1994): Exkursion A: Mineralvorkommen und Lagerstätten im östlichen Waldviertel. Mitt. Österr. Mineral. Ges. 139, 389-405. Polegeg, S. (1984): Vermiculitvorkommen in Niederösterreich. Archiv für Lagerstättenforschung der Geologischen Bundesanstalt 5, 125-129. Polegeg, S. (1984): Vermiculitvorkommen in Niederösterreich. Archiv für Lagerstättenforschung der Geologischen Bundesanstalt 5, 125-129.; Götzinger, M. A. (1987): Vermiculitvorkommen der Böhmischen Masse in Österreich und ihre Entstehung. Mitt. Österr. Mineral. Ges., 132, 135-156. Polegeg, S. (1984): Vermiculitvorkommen in Niederösterreich. Archiv für Lagerstättenforschung der Geologischen Bundesanstalt 5, 125-129. [as "Ispertal"]; Götzinger, M.A. (1987): Mineralogy and Genesis of Vermiculite in Serpentinites of the Bohemian Massif in Austria. Mineral. Petrol., 36, 93-110; Götzinger, M. A. (1987): Vermiculitvorkommen der Böhmischen Masse in Österreich und ihre Entstehung. Mitt. Österr. Mineral. Ges., 132, 135-156. Brandstätter, F. (1993): 909. Vermiculit aus dem ehemaligen Pb-Zn-Bergbau Obernberg am Brenner, Tirol. P. 275 in NIEDERMAYR, G., F. BRANDSTÄTTER, B. MOSER, W. H. PAAR, W. POSTL, J. Taucher & H.-P. BOJAR (1993): Neue Mineralfunde aus Österreich XIIL. Carinthia II, 183./103., 265-290. Neto, M. T. D. O. C., & Barbosa, R. V. N. (2008). As Esmeraldas De Lajes, Caiçara Do Rio Dos Ventos E São Tomé/rn. Holos-ISSN 1807-1600, 2, 92-104. Piper, D., Hundert, T., Pe-Piper, G., Okwese, A. (2009) The roles of pedogenesis and diagenesis in clay mineral assemblages: Lower Cretaceous fluvial mudrocks, Nova Scotia, Canada. Sedimentary Geology: 213(1): 51-63. LALONDE, A.E. & KODAMA, H. (2001): Ferruginous vermiculite from the Mont Saint-Hilaire alkaline intrusion, Québec, Canada. Abstract with Program [Poster presentation, 12th International Clays Conference, Bahia Blanca, Argentina]. Wen Hanjie and Qiu Yuzhou (1999): Science in China, Series D (Earth Sciences), 42(6), 662-669. He Jurui, Rui Xinjian, Guo Kunyi, Wu Quanhuai, Liu Hongying, Wang Futong, and Sun Chuanmin (2000): Acta Geologica Sinica 74(3), 473-477. Tongjiang Peng, Fusheng Liu, Huang, J., Belzile, N., and Hongjuan Sun (2003): Acta Petrologica et Mineralogica 22(4), 391-396. Pelíšek, J.: Nové minerály ze serpentinitu od Věchnova u Bystřice nad Pernštejnem. Časopis pro mineralogii a geologii, 1988, roč. 33, č. 2, s. 204. Canadin Mineralogist, Vol 17, 1979, pp. 583-588.; Dosbaba, M., & Novák, M. (2012). 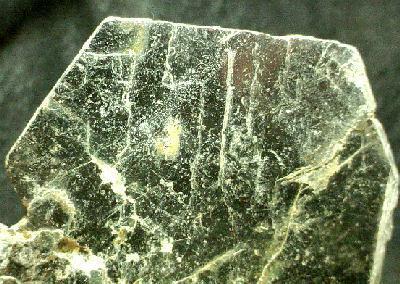 Quartz replacement by “kerolite” in graphic quartz–feldspar intergrowths from the Věžná I pegmatite, Czech Republic: a complex desilication process related to episyenitization. The Canadian Mineralogist, 50(6), 1609-1622.; Cerny, P., Hawthorne, F. C., Laflamme, J. H. G., & Hinthorne, J. (1979). Stibiobetafite, a new member of the pyrochlore group from Vezna, Czechoslovakia. Canadian Mineralogist, 17, 583-588. Bull. Soc. Franç. Minéralo. Cristallo. , 1964, LXXXVII, p. 542-546. Paul, M. (1995): Vorkommen und Typisierung von Chlorit-Vermiculit-Mineralen (einschließlich „Schuchardtit“) aus den lateritischen Ni-Lagerstätten von Callenberg, Sachsen. Z. geol. Wiss., 23, 425-442 (in German); Paul, M. (1995): Mineralogie, Chemismus und Gliederung der Ni-führenden Verwitterungskrusten auf Serpentinit von Callenberg, Sachsen. Zeitschrift für Geologische Wissenschaften 23, 331-347 (in German). M.G. Stamatakis, N.K. Koukouzas (2001) The occurrence of phosphate minerals in lacustrine clayey diatomite deposits, Thessaly, Central Greece. Sedimentary Geology 139:33-47. Mirkhani, R., Roozitalab, M.H., Khaleghpanah, N., Rezaei, N., and Teimouri, S. (2010) Physico-chemical characteristics and clay mineralogy composition of selected soils in arid and semiarid regions of Iran. Extended Abstracts – 21st Australian Clay Minerals Conference – Brisbane, August 2010, 151-154. Lemon, G. G. (1966): Serpentinites in the North-East Ox Mountains, Eire. Geological Magazine 103, 124-137. Chijiwa, K. and Tomita, S. (1981) Memoirs of the Faculty of Science, Kyushu University, Ser.D, Geology, 24, #4, 281-297. Jun-ichi Kitahara (1965) Hydrophlogopite from the Wakamatsu chromite mine, Tottori Prefecture. The Journal of the Japanese Association of Mineralogists, Petrologists and Economic Geologists, 54, #1, 32-38. Uzarowic, L., Skiba, S., Skiba, M., Segvic, B. (2011) Clay-mineral Formation in Soils Developed in the Weathering Zone of Pyrite-Bearing Schists: A Case Study from the Abandoned Pyrite Mine in Wieściszowice, Lower Silesia, SW Poland. Clays and Clay Minerals 59:6, 581-594. Aldous, R. T. H. (1986): Copper-rich fluid inclusions in pyroxenes from the Guide copper mine, a satellite intrusion of the Palabora igneous complex, South Africa. Economic Geology 81, 143-155. [var: Vaalite] Story-Maskelyne, N., & Flight, W. (1874). On the Character of the Diamantiferous Rock of South Africa. Quarterly Journal of the Geological Society, 30(1-4), 406-416. Henry Hanni (1987) On Corundums from Umba Valley, Tanzania. J. Gemm. 20:278-284.; Zwaan, P. C., & Zwaan, P. C. (1974). Garnet, corundum and other gem minerals from Umba, Tanzania. Rijksmuseum van Geologie en Mineralogie. Anthony, J.W., et al (1995), Mineralogy of Arizona, 3rd.ed. : 413; Pipkin, B.W. (1967), Mineralogy of the 140-ffot core from Willcox Playa, Cochise Co., AZ (abs. ), Amer. Assn. Petroleum Geologist Bull., 51:478. Anthony, J.W., et al (1995), Mineralogy of Arizona, 3rd.ed. : 413. Anthony, J.W., et al (1995), Mineralogy of Arizona, 3rd.ed. : 413; North, O.S. & N.C. Jensen (1958), Vermiculite, in Minerals Yearbook, 1954, US Bur. Mines: 1307-1316. Anthony, J.W., et al (1995), Mineralogy of Arizona, 3rd.ed. : 413; North, O.S. & N.C. Jensen (1958), Vermiculite, in Minerals Yearbook, 1954, US Bur. of Mines: 1307-1316; Galbraith, F.W. & Brennan (1959), Minerals of AZ: 106. Anthony, J.W., et al (1995), Minerals of Arizona, 3rd.ed. : 413; Wilson, E.D. & G.H. Rosaveare (1949), Arizona nonmetallics: A summary of past production and present operations (2nd.ed. ), AZ Bur. of Mines Bull. 155: 32. Anthony, J.W., et al (1995), Mineralogy of Arizona, 3rd. ed. : 413; Engineering & Mining Jour. (1940), News of the Industry: 141:76; Wilson, E.D. (1944), AZ nonmetallics: A summary of past production and present operations, AZ Bur. of Mines Bull. 152: 58. Galbraith, F.W. & Brennan (1959), Minerals of AZ: 106. Bur. Land Mgmt. unit resource analysis step 3&4, Hualapai unit; MRDS file #10137759. Anthony, J.W., et al (1995), Mineralogy of Arizona, 3rd.ed. : 413; Brown, W.H. (1939), Tucson Mountains, an Arizona basin and range type, Geol. Soc. Amer. Bull. : 50: 697-760. Anthony, J.W., et al (1995), Mineralogy of Arizona, 3rd.ed. : 413; Moore, R.T. (1969b), Vermiculite, in Mineral and water resources of AZ, AZ Bur. Mines Bull. 180: 462-464. MRDS database Dep. ID #10062373, MRDS ID #TC35750. Pabst, Adolf (1942b), The mineralogy of metamorphosed serpentine at Humphreys, Fresno County, California: American Mineralogist: 27: 577; Murdoch, Joseph & Robert W. Webb (1966), Minerals of California, Centennial Volume (1866-1966): California Division Mines & Geology Bulletin 189: 381; Pemberton, H. Earl (1983), Minerals of California; Van Nostrand Reinholt Press: 435. Gueven, N. and Kerr, P.F. (1966) Selected Great Basin clays. American Mineralogist: 51: 1059-1060; Pemberton, H. Earl (1983), Minerals of California; Van Nostrand Reinholt Press: 435. Wiese, J.H. & L.R. Page (1946), Tin deposits of the Gorman district, Kern County, California: California Division Mines Report 42: 42(1): 39; Murdoch, Joseph & Robert W. Webb (1966), Minerals of California, Centennial Volume (1866-1966): California Division Mines & Geology Bulletin 189: 381; Pemberton, H. Earl (1983), Minerals of California; Van Nostrand Reinholt Press: 435. Hanks, Henry Garber (1884), Fourth report of the State Mineralogist: California Mining Bureau. Report 4, 410 pp. : 244; Murdoch, Joseph & Robert W. Webb (1966), Minerals of California, Centennial Volume (1866-1966): California Division Mines & Geology Bulletin 189: 233. Industrial West Foundation, Non-Metallics II-D: 112; USGS (2005), Mineral Resources Data System (MRDS): U.S. Geological Survey, Reston, Virginia, loc. file ID #10163616. Murdoch, Joseph & Robert W. Webb (1966), Minerals of California, Centennial Volume (1866-1966): California Division Mines & Geology Bulletin 189: 233. Woodford, A.O., Crippen, R.A., and Garner, K.B. (1941) Section Across Commercial Quarry, Crestmore, California. American Mineralogist: 26: 374. Saul, R.B., Evans, J.R., and Gray, C.H. (1970) Mines and mineral resources of Riverside County. California Division of Mines and Geology County Report 9. Unpublished manuscript: 336; Pemberton, H. Earl (1983), Minerals of California; Van Nostrand Reinholt Press: 435-436. Murdoch, Joseph & Robert W. Webb (1966), Minerals of California, Centennial Volume (1866-1966): California Division Mines & Geology Bulletin 189: 381. Weber, F.H., Jr. (1963a) Mines and mineral resources of San Diego County, California. California Division of Mines and Geology County Report 3, 309 pp. : 280, 282; Pemberton, H. Earl (1983), Minerals of California; Van Nostrand Reinholt Press: 424. Waring, G. A. (1905), The pegmatyte veins of Pala, San Diego County. American Geologist 35, p. 363; Murdoch, Joseph & Webb, Robert W. (1966), Minerals of California, Centennial Volume (1866-1966): California Division Mines & Geology Bulletin 189: 381. Rocks & Min. :64:198; Heinrich & Jahns(1953). Pearre, N. & A. V. Heyl (1960) Mineral deposits in serpentine rocks of the Piedmont Upland, Maryland, Pennsylvania and Delaware: U. S. Geological Survey: Bulletin 1082K: 813. Pearre, N. & A. V. Heyl (1960) Mineral deposits in serpentine rocks of the Piedmont Upland, Maryland, Pennsylvania and Delaware: U. S. Geological Survey: Bulletin 1082K: 797-799. Emerson, B.K. Geology of Massachusetts and Rhode Island, 1917. (USGS Bulletin 597), p.216-217. ; Van Gosen, Bradley S. (2005) Reported historic asbestos mines, historic asbestos prospects, and natural asbestos occurrences in the eastern United States. USGS Open-File Report 2005-1189.; Emerson, B. K. (1895): A Mineralogical Lexicon of Franklin, Hampshire, and Hampden Counties, Massachusetts (USGS Bulletin 126). Dake, H. C., 1941, [Brodrickite], The Mineralogist, v. 9, p. 443. American Mineralogist, Volume 88, pages 1955–1969, 2003; Lowers, H.A., Wilson, S.A., Hoefen, T.M., Benzel, W.M., and Meeker, G.P., 2012, Preparation and characterization of “Libby Amphibole” toxicological testing material: U.S. Geological Survey Open-File Report 2012–1012, 20 p.; Gobla, M. J. (2012) Montana Mineral Locality Index. Rocks and Minerals 87:208-240. BOETTCHER, A. L., 1967, THE RAINY CREEK ALKALINE ULTRAMAFIC IGNEOUS COMPLEX NEAR LIBBY, MONTANA, JOUR. GEOLOGY, V. 75, NO. 5, P. 526 - 553. NJ State Geol. Ann. Rpt. (1900):184-185. Clays and Clay Minerals,Vol.47,No.4,pg.439-457,1999 and Wards Natural Science Establishment specimens. Gordon, S.G. (1922) The Mineralogy of Pennsylvania. 255 pp., Philadelphia. Gordon, S.G. (1922) The Mineralogy of Pennsylvania. Special Publication No.1, The Academy of Natural Sciences of Philadelphia, 255 pages, at p.191. Frank, D., & Edmond, L. (2001). Feasibility for Identifying Mineralogical and Geochemical Tracers for Vermiculite Ore Deposits. US Environmental Protection Agency, Region 10. Alfredo Petrov ID by visual and physical properties, and expansion on heating, on specimen field collected by John Lindell. Rocks & Minerals 76:385; U.S. Geological Survey (2005) Mineral Resources Data System: U.S. Geological Survey, Reston, Virginia.